A disaster is more likely today than ever before. From the unpredictable weather, noun to the threats on our country, viagra 60mg to the resent Ebola outbreak – people are on high alert. 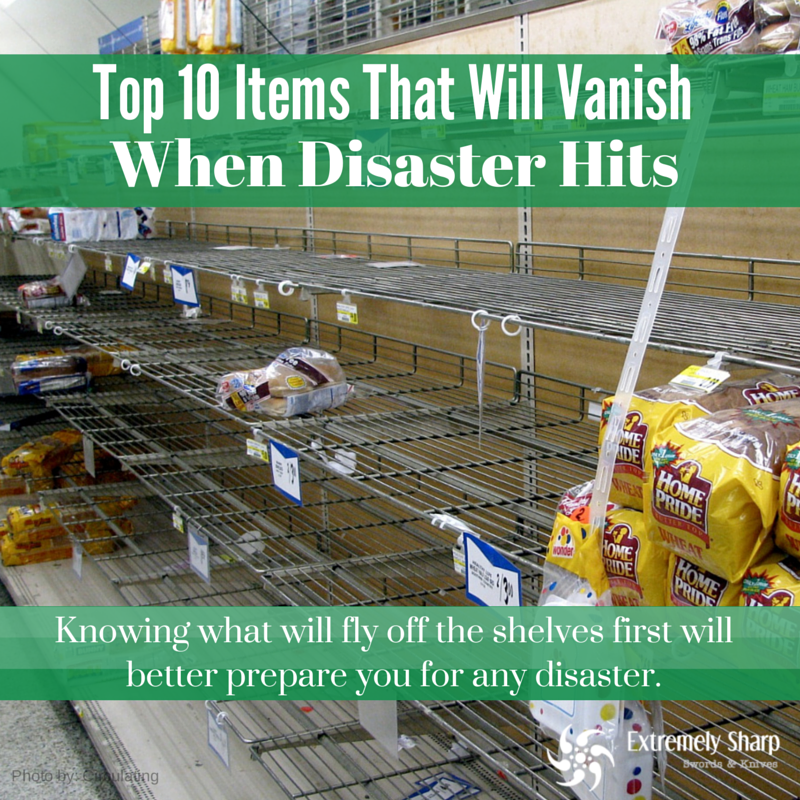 If things get out of control, it is essential to know the top 10 things that will vanish when disaster hits. You can prepare for worst case scenarios and survive. Water – If you’re out of luck from grabbing a few gallons from the store, don’t fret! Two drops of bleach will purify one quart of water. Canned Foods – Stock up on cans of food now to avoid missing them on the shelves later. When you keep canned goods in a cool, dry place you can extend the shelf life for several years past expiration. Batteries – Anything that can be a source of light will be quick to disappear. Flashlights & batteries will also disappear quickly. Stock up on batteries to avoid being left in the dark. 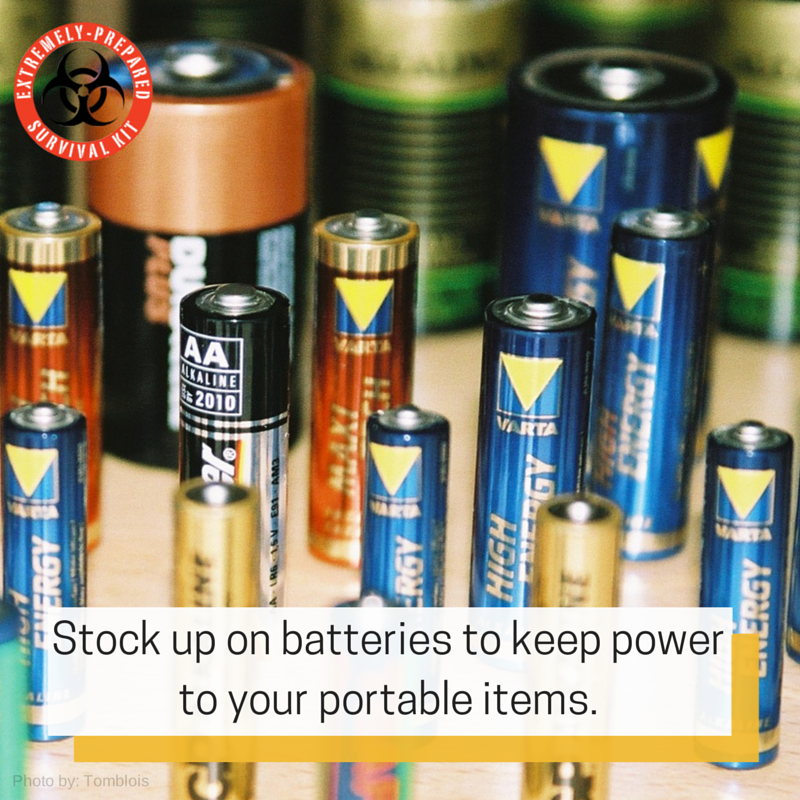 Go ahead and get batteries now for any electronic devices that you think you’ll need in a large disaster situation. Bread, Eggs, Milk – Although eggs, milk and bread are an excellent source of food, they do not last for long before spoiling. A good survivalist will look for non-perishable things such as tea bags, cereal, pasta, etc. Think about high energy sources and protein. Cigarettes – People will prioritize their addictions before their needs. If you’re a smoker, grab packs of gum to help control sudden urges. Cigarettes will be a high value item if disaster situation lasts. You can trade them for items you need. Medications/First-Aid – If your taking medications, carry an extra supply for emergencies. First aid items like rubbing alcohol or hydrogen peroxide will be valuable if you get hurt. This is an item that you never want to run low on. Make sure you always have a good supply. A pocket knife or multi tool can be good in a kit. Gas – People will be lined up at gas stations to fill up their car or gas cans. It’s best if you keep you’re tank no less than half for disaster emergencies. This way you can avoid the large crowds if something drastic were to happen. Make the habit of filling up before your tank gets low now, and it will pay off when disaster strikes. 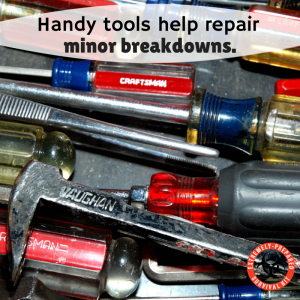 Tools – You need to be able to take care of minor breakdowns. 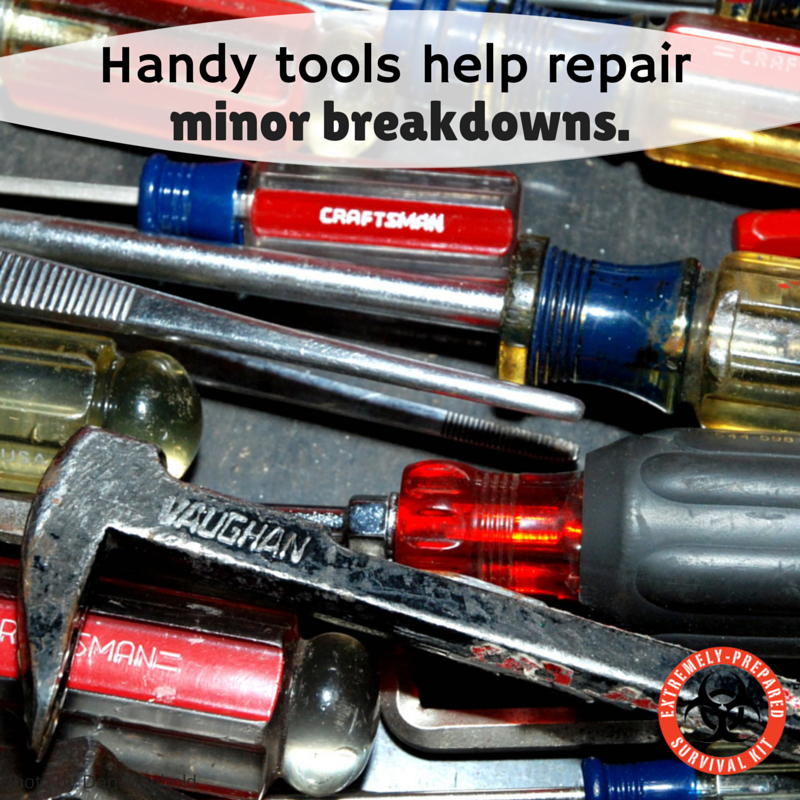 Learning how to make makeshift tools can save you the heartache of being empty-handed. Google search may not be available, so study up now and learn the basics. Keep a few extra multi-tool’s on hand. Charcoal & Propane – Expect fuel sources to go fast. If you’re out of luck finding charcoal or propane, find some dry wood to start up a fire for your grill. Knowing where to go for fuel will be of value once disaster strikes. Sanitation Items – From soap products to hand sanitizer, cleaning items will fly off the shelves. For women, find feminine products that will last for months. Again, rubbing alcohol and bleach will come in handy for staving off sickness. Check out Extremely-Sharp.com for great survival items. 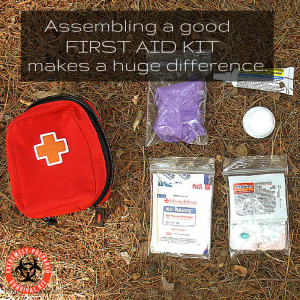 Having a solid survival plan is critical when bug out situations or disasters happen. Tell us what you would do if you couldn’t find these items in stores.